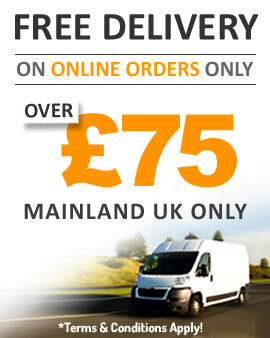 Online orders over £75 to UK Mainland. Please choose a vehicle from this list below. Select Toyota Hilux Model... Hilux Pickup GUN125R 2.4cc TD D4D (4/2016-ON) Mk8 Hilux Pickup KUN26R 3.0cc TD D4D (7/2011-2016) Mk7 Hilux Pickup KUN25R 2.5cc TD D4D (7/2011-2016) Mk7 Hilux Pickup KUN26R 3.0cc TD D4D (10/2006-8/2011) Mk6 Hilux Pickup KUN25R 2.5cc TD D4D (7/2005-8/2011) Mk6 Hilux Pickup KDN165R 2.5cc TD D4D (8/2001-7/2005) Mk5 Hilux Pickup KZN165 3.0cc TD (9/1999-2005) Import Hilux Pickup LN172 3.0cc Diesel (8/1997-7/2004) Import Hilux Pickup LN167 2.8cc Diesel (8/1997-7/2001) Import Hilux Pickup LN166R 2.8cc Diesel (8/1997-2006) Import Hilux Pickup LN165R 2.4cc TD (8/1997-7/2001) UK Mk4 Hilux Pickup LN110L 2.4cc Diesel (1988-1997) Import Hilux Pickup LN109 2.8cc Diesel (8/1994-8/1997) Import Hilux Pickup LN107 2.8cc Diesel (8/1991-8/1997) Import Hilux Pickup LN106 2.8cc Diesel (8/1988-8/1997) Import Hilux Pickup YN106R 2.2cc Petrol (8/1988-8/1997) UK Mk3 Hilux Pickup LN105R 2.4cc Diesel (8/1988-7/1997) UK Mk3 Hilux Pickup YN67R 2.2cc Petrol (8/1985-7/1988) UK Mk2 Hilux Pickup YN65R 2.0cc Petrol (8/1983-8/1985) UK Mk2 Hilux Pickup LN65R 2.4cc Diesel (8/1983-7/1988) UK Mk2 --- I Don't Know My Toyota Model? Select Toyota Hilux Surf Model... Hilux Surf KZN185 3.0cc TD 1KZTE (11/1995-8/2000) Hilux Surf RZN185 2.7cc Petrol 3RZFE (11/1995-11/2002) Hilux Surf VZN185 3.4cc V6 Petrol 5VZFE 11/95-11/02 Imp Hilux Surf VZN130 3.0cc V6 Petrol 3VZE 8/93-11/95 UK/Imp Hilux Surf KZN130 3.0cc TD 1KZTE (8/1993-11/1995) Import Hilux Surf LN130 2.4cc TD 2LT (1988-8/1993) Import UK 4Runner KZN130 3.0cc TD 1KZT (8/1993-11/1995) --- I Don't Know My Toyota Model? Select Toyota Land Cruiser Model... Land Cruiser VDJ200R 4.5cc V8 Twin TD (2007-ON) Land Cruiser UZJ200R 4.7cc V8 Petrol (8/2007-ON) Land Cruiser KDJ155R 3.0cc TD D4D (8/2009-ON) SWB Land Cruiser KDJ150R 3.0cc TD D4D (8/2009-ON) LWB Land Cruiser KDJ125R 3.0cc TD D4D (9/2002-12/2009) SWB Land Cruiser KDJ120R 3.0cc TD D4D (9/2002-12/2009) LWB Land Cruiser UZJ100R 4.7cc V8 (1/1998-8/2007) Amazon Land Cruiser HDJ101 4.2cc TD (1/1998-8/2007) Amazon Land Cruiser HDJ100R 4.2cc TD (1/98-8/07) UK Amazon Land Cruiser KDJ95R 3.0cc TD D4D (8/2000-9/2002) LWB Land Cruiser KDJ90R 3.0cc TD D4D (8/2000-9/2002) SWB Land Cruiser VZJ95R 3.4cc V6 (4/1996-7/2000) LWB Land Cruiser VZJ90R 3.4cc V6 (4/1996-7/2000) SWB Land Cruiser KZJ95R 3.0cc TD (4/1996-7/2000) LWB Land Cruiser KZJ90R 3.0cc TD (4/1996-7/2000) SWB Land Cruiser FZJ80 4.5cc Petrol (1/1990-1/1998) Land Cruiser HDJ81 4.2cc TD (1/1995-1/1998) 24v Import Land Cruiser HDJ81 4.2cc TD (1/1990-1/1995) 12v Import Land Cruiser HDJ80R 4.2cc TD (1/1995-1/1998) 24v UK Land Cruiser HDJ80R 4.2cc TD (1/1990-7/1994) 12v UK Land Cruiser KZJ70R 3.0cc TD (5/1993-4/1996) UK Land Cruiser LJ78 2.4cc TD (4/1990-5/1993) Import Land Cruiser LJ71 2.4cc TD (1/1990-5/1993) Import Land Cruiser LJ71 2.4cc TD (1986-1/1990) Import Land Cruiser LJ70R 2.4cc TD (1/1990-5/1993) UK Land Cruiser LJ70R 2.4cc TD (1986-1/1990) UK --- I Don't Know My Toyota Model? Est. 1991, RoughTrax is renowned for supplying exceptional quality parts, service, & product knowledge; you're in great hands with RoughTrax, and with our Electronic Parts Catalogue we can identify and obtain any part from your chassis number, even for imports. RoughTrax 4x4 has the largest stock range of Toyota Hilux Surf Parts, Toyota Hilux Pickup Parts and now Toyota Land Cruiser Parts, Spares & Accessories throughout Europe. Buy tyres online & get FREE DELIVERY on all 4x4 tyres.